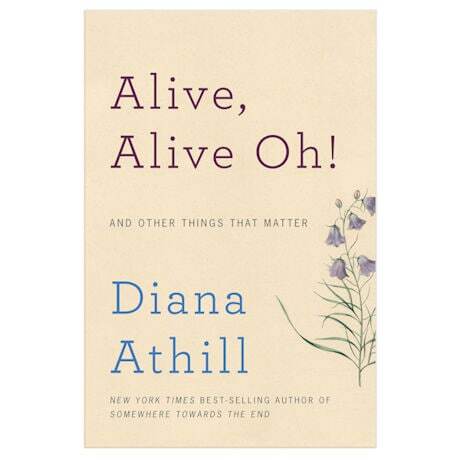 Diana Athill, a woman well into her 90s, writes with clear-eyed intelligence of a life that she calls a lucky one. On the British estate where she grew up, there were shaded paths and lawns to wander and marvel at the natural world. Unconventional in her outlook, she never married, yet found a life filled with love and a successful career in publishing. After the privations of the Second World War, she delighted in the smell of drying herbs, the sound of the sea, and a beach where she expected to find solitude but was surprised by the visitation of another creature. Although she gave up her beloved books and pictures when she made the decision to go into a "home," she is happy there. To Diana Athill and the other women like her who have a lot to teach about aging, I say, "Brava."